Missed opportunities were the big difference in Republic’s 2-1 overtime loss at Kickapoo Wednesday in their final game of the regular season. The Tigers controlled possession for most of a scoreless first half, but missed a penalty kick that would have given them an early lead. 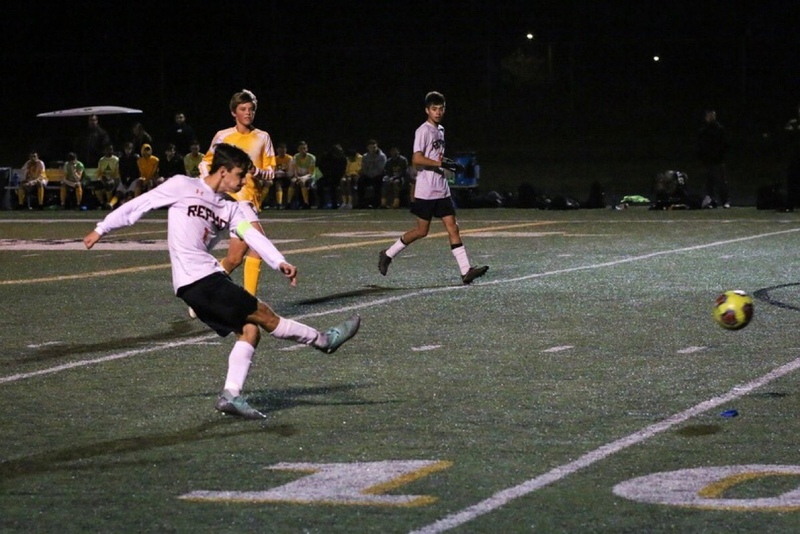 In the second half, they failed to capitalize on several more opportunities before Kickapoo scored the game’s first goal around the 61st minute. Republic tied the game on a goal by Chris Pacheco shortly after that. The Tigers had their best second-half opportunity to take the lead with less than eight minutes remaining. A yellow card against Kickapoo gave Republic a free kick just outside the box, but the Tigers were unable to put the ball in the net. After the teams ended regulation tied 1-1, Kickapoo scored the game-winner less than a minute into overtime. Coach Kevin Hauck says despite the loss, the game is good preparation for the pressure of the playoffs, starting next week. Republic ends the regular season with a 15-9 record. The Tigers begin district play Tuesday.